Football season is almost here and that means it’s time for fantasy football to crank up and DraftKings is kicking off the season with their biggest contest yet. 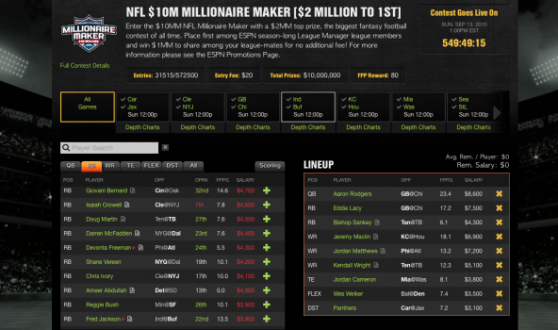 DraftKings will have a $10 million contest on Sunday September 13th starting at 1:00 p.m. ET. It cost $20 to enter and the top 125,700 scores will win money, which sounds like a good deal to me. Go enter now for your chance at the $2 million first place prize.